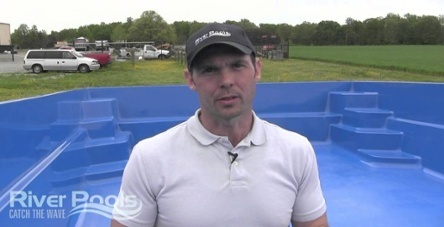 In this video, Jason Hughes of River Pools explains the cost, pricing, budgets, features, and more. Is It Possible To Install A Fiberglass Pool Above Ground? See how we can customize fiberglass pools to meet your needs. How Long Will A Vinyl Liner Really Last? Discover the truth about vinyl liner warranties and how long you can realistically expect it to last. Straightforward and unbiased Pros and Cons of all three types of pools. The most comprehensive collection of videos, articles, and links to help you decide which is right for you. Learn how to make the most of your space and find the perfect small pool. Watch as young JT Sheridan demonstrates how easy it is to clean a pool. 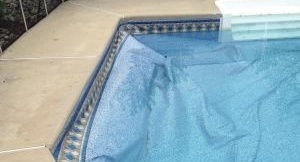 Will My Fiberglass Pool Require A Weekly Maintenance Company? Are fiberglass pools really that easy to maintain? Find out here. 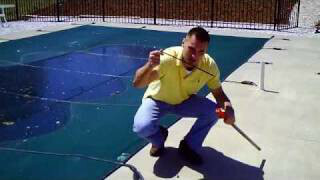 View our entire selection of swimming pool maintenance videos. What Is The Price Difference Between Fiberglass, Concrete, and Vinyl Pools? How Much Pool Patio Do I Need? Popular Pool Options and Accessories: Get Insider Info! 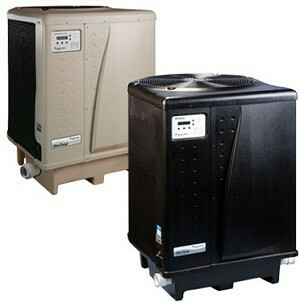 Listen in on our conversations regarding salt, lights, covers, heaters, and other common add-ons. Get a crash course in salt, heaters, pool lights, covers, and other relevant accessories. This free educational inground Ebook is the most comprehensive comparison of Fiberglass, Concrete, and Vinyl Liner Pools ever composed. 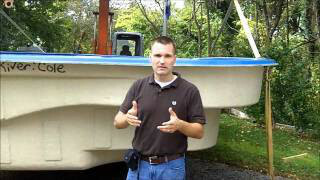 Why Should Fiberglass Pools Be Weighed? Can A Fiberglass Pool and Patio Be Installed In One Day? 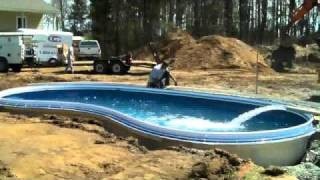 Watch our One-Day Pool Challenge and see if we can complete this installation in 1 day! Are Fiberglass Pools Large Enough? 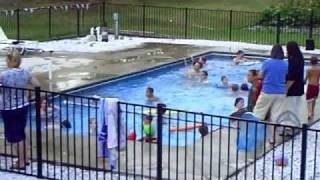 Some people think fiberglass pools are too small for large groups of people, but this video shows over 20 people in our 16'x38' pools. Looking for a medium size inground pool for your backyard? Check out this video to learn more about our Oasis pool. Looking for a rectangular fiberglass pool? Check out this video to learn about The Greco, our 16'x36' pool manufactured by River Pools.